The attacks in Paris on Charlie Hebdo bring to a fore fault lines in Europe. It has fuelled a European right that is calling for bans on Muslim immigrants. A major French TV anchor called for deportation of their existing Muslim population. For a while the hashtag #KillAllMuslims trended on Twitter. Germany saw anti-Muslim protests with thousands of people taking to the streets. In the US “Judge” Jeanine on Fox News said “We need to kill them. We need to kill them, the radical Muslim terrorists.” There is a danger of this fuelling a real phobia, aMuslim phobia. This is different from suppressing critique of Islam using the term Islamophobia. Here is why. Let us be clear. Targeting Muslims as an imagined monolith is bigotry. It must be countered. Human beings are diverse. Just because someone has a Muslim name, or “looks Muslim” or comes from a Muslim country or observes Muslim rituals does not make them a radical. With over a billion people, there is a wide diversity of Muslim experiences. Even within Indian Muslims, customs vary by region, caste and affiliation. The instance I cite above such as the call in UK by right wing groups that “Muslims get out” is an example of what I call Muslim phobia. This kind of phobia is starting to happen in India as well. Just as Muslims youngsters are being radicalised often via dis-contextualised textual messages, we find instances of young “Hindutva warriors” exhibiting increasing prejudice. Here is a simple example, more egregious ones are easily found. Millions of Muslims serve in the government, in the armed forces, in the security services of this country not as Muslims but as Indians. 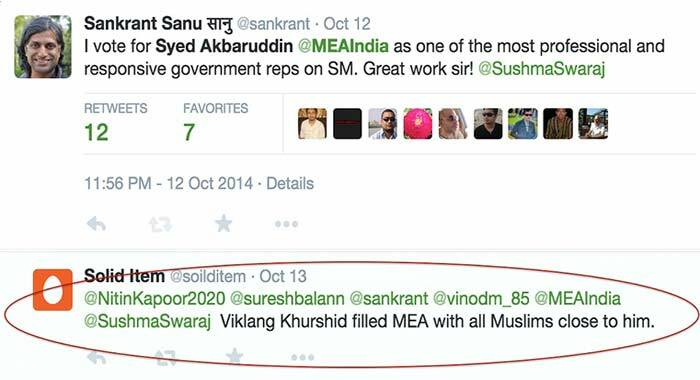 To view them simply on the basis of religious identity is another form of Muslim phobia. In Europe we find Muslim phobia increasingly acting as the outlet for racism, xenophobia, and presumed Christian or Western cultural superiority. Orientalist caricatures of Muslims underlie their stereotyping. Unlike Muslim Phobia, which is about real people, Islamophobia is a term used to protect an ideology from criticism. Islam is not a person, it is an idea much like capitalism or communism. Ideas must not be immune from criticism. 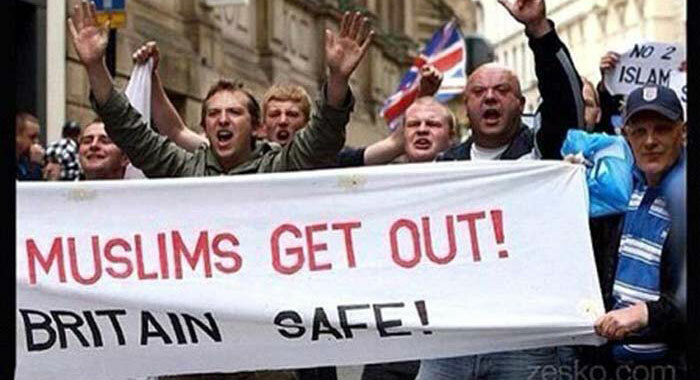 When people in the UK say “Muslims get out” it can be, and often is, an expression of latent racism. We most oppose that. But ideas need to be up for criticism, just as people as a whole must not be stereotyped. This played out in a famous American talk show confrontation in the Bill Mahler show, where Sam Harris guest called Islam a “motherload of bad ideas.” Now what Sam Harris says is, and should be, contestable. But to shut off the points he makes as Islamophobia is to shut off the debate altogether. There is a problem of religious radicalism, and Islam may be linked to the problem, at the very least since a number of people that are blowing themselves and others up explicitly self-proclaim that they are doing it for Islam. But to discover Islam is or isn’t the problem we cannot forestall the debate. To label criticism of Islam into a “phobia” does exactly that, by labelling criticism as an irrational psychological disorder. This is exactly the tack used in Islamic states where people criticising Islam have been branded mentally ill and terrorists. The term Islamophobia, funded by the deep pockets of the OIC, is used to subject the world to the same Islamic theological restrictions. A final two points. First, Muslims rightly point out that, despite the highly publicised terror killings, the Christian West has killed far more people, even in recent times. The invasion of Iraq is a case in point, where the death toll has surpassed half a million. There is also evidence that Bush’s irrational foray into this war was guided by his Christian belief in end times and that the war was fulfilment of Biblical prophecy, and that US Defence Secretary Donald Rumsfeld’s briefings for the war were framed by Biblical quotes. Just because the Iraq body count came from a formal army, covered by “embedded journalists” of a “sophisticated” West doesn’t make it any less brutal. Perhaps a thousand times more children died in Iraq as a result of the war, than in the recent Peshawar school attack. While Islam and Christianity both have a bloody history, there is little doubt that, in sheer body count, Christianity has no parallel. Yet, despite the flaws, the Christian West has launched a serious critique of Christianity. Our accounts of the genocides and killings by Christians come from Western sources. The challenge to Christian theological presumptions has also emerged from there. This kind of challenge and critique is equally necessary for Islam and it should not be forestalled either by the financial clout of the OIC, and its own paid coterie yelling “Islamophobia” or by misguided moral relativism. The current climate in Islamic societies, particularly laws related to blasphemy and apostasy, make this critique difficult from within. The values of free speech in the West have offered protection to dissident Muslim voices to begin this critique of Islam, though it only has marginal influence yet on Muslim societies. Charlie Hebdo may not be the best example of such a critique, but it bludgeons open the space for one. The challenge for the West will be to not let that space be filled by mindless xenophobia that leads to Muslim phobia. Europe has been there before. Those that call themselves liberals and intellectuals must take up that challenge of confronting Islam intellectually without the straightjacket of political correctness. what is your point ? that muslims don't give priority to sharia over the law of the land and want to integrate ? what is the basis of being muslim then ? could you explain what kind of muslim is still a muslim if does not follow the koran ?